We here at Excel recruitment have a wonderful opportunity for a candidate with the supervisory experience to join one of Ireland’s leading grocery retail groups as a Trainee Retail Manager. This job comes with an excellent opportunity to progress in your retail career. 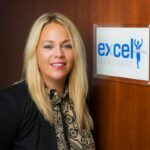 If you are interested in this Trainee Retail Manager Job or any other job opportunities on the Excel Recruitment website then please apply via the link below or you can call me, Nikki Murran on 018148747 to discuss potential job opportunities. All applications are handled in the strictest confidence.